Please be sure of your fitment before ordering. 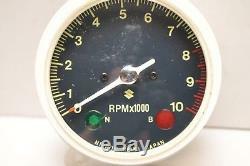 Suzuki Motorcycle 1972 INDY - GT550 SPEEDOMETER TACHOMETER. Suzuki Motorcycle 1972 SEBRING - GT380 SPEEDOMETER - TACHOMETER F. Suzuki Motorcycle 1973 HUSTLER - GT250 SPEEDOMETER - TACHOMETER GT250K. Suzuki Motorcycle 1973 SEBRING - GT380 SPEEDOMETER - TACHOMETER (GT380K). 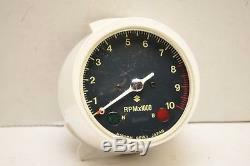 Suzuki Motorcycle 1973 INDY - GT550 SPEEDOMETER - TACHOMETER (GT550K). 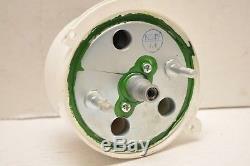 The item "NOS OEM SUZUKI TACH TACHOMETER 34200-33710 GT550 1972 1973 INDY ++" is in sale since Wednesday, August 1, 2018. This item is in the category "Automotive\Parts & Accessories\Motorcycle Parts\Instruments & Gauges\Tachometers". The seller is "motomike_canada" and is located in Constance Bay, Ontario.